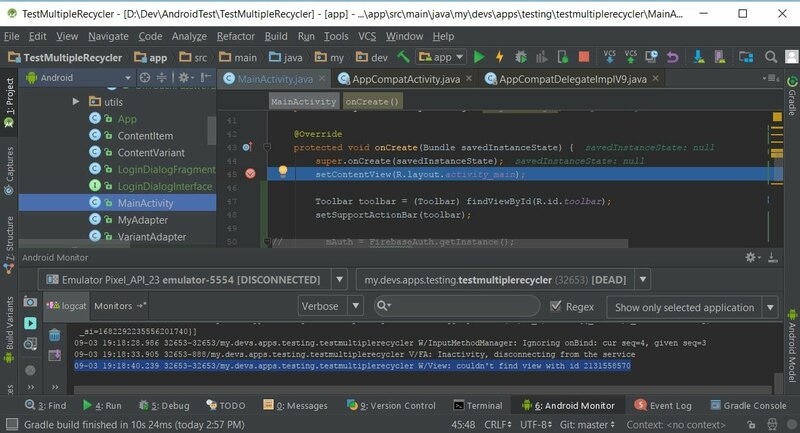 Android, Troubleshooting "W/View: couldn't find view with id"
It is not easy to troubleshoot this error without knowing why it happens! 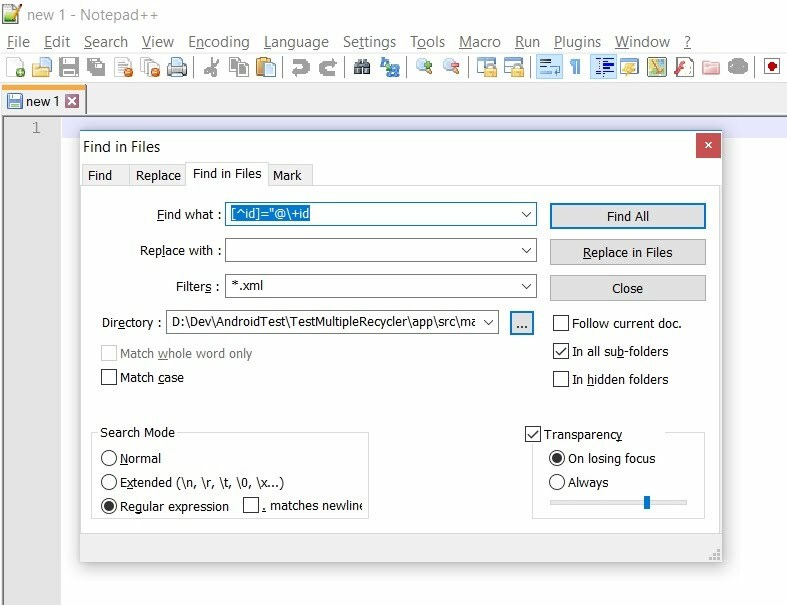 Id of EditText is set using "@+id/editText"
It is used again later as "@+id/editText" when Button is positioned bellow and aligned to end of EditText. The way "@+id" work is that it will try to find existing id with editText label. If it is not found, new random id number is given. This kinda explain why "@+id" is used for both case of creating a new id for widget and also to refer to existing widget. Here is a shocker. We can also do this instead of using "@+id"
So what is the different between using "@+id" and "@id"? Unlike the previous form, "@id" will throw compile error when existing id is not found. Layout_alignEnd and layout_bellow depend on widget with id to exist to do the relative positioning, right? And the id can not just be some newly created random id. "W/View: couldn't find view with id xxxxxxxxx"
Hence the hard to troubleshoot problem. Another thing is that, not all line with "@+id" is the one having problem. In my case, I did the following to troubleshoot. 1. Find all line in xml layout file that have "@+id" but not "id="@+id". On Windows this is done using Notepad++ find in file function with regex search keyword. The keyword is "[^id]="@\+id" (refer to picture). Not being an expert in regex, regexr.com website help me a lot in testing and getting the right expression. 2. Change "@+id" to "@id" and rebuild the project until the one that give compile error is found. Much of this is try an error approach. From that troubleshooting, I found the problem to be order of widget declared in xml file when using relative layout. Fix that and problem is solved!